The research team hopes that Finland will over the coming years try out different types of basic income arrangements. The research team that worked on the Finnish basic income experiment submitted its final report to the Government on 16 December 2016. The first stage of the Finnish basic income experiment will be launched at the beginning of 2017. In its report, the team recommends that the experiment be expanded in 2018. In a preliminary report published on 30 March 2016, the research team evaluated extensively various basic income models based on the terms of reference set out by the Government. The preliminary report also included, in draft version, a study design suitable to provide information to the Government about the employment effects of a basic income. As the proposed design was defined further in advance of the launch of the experiment at the beginning of 2017, it had to be pared down in a number of ways. Conducting the experiment across a large selection of low-income individuals would have exceeded the available resources. The tight schedule was another factor that hindered the implementation of tax changes geared to the requirements of the basic income experiment and imposed constraints on the specification of the study design and the substance of the enabling Act of Parliament. Ultimately, then, the experiment launched in January 2017 is a reflection of the parameters set for it. The group of participants includes 2,000 persons between ages 25 and 58 who currently receive unemployment benefits from Kela, the Finnish Social Insurance Institution. They were selected by a nationwide random sample. The amount of the basic income is fixed at €560 per month. Possible follow-up trials will also be constrained by the existing legislation which must be taken into account when planning new study designs. Any adjustments to the basic income model used in the first stage of the experiment or to the study design may require Kela to build a new payments system. Should a new tax system be applied, the Tax Administration too will need time for system development. In order to solve the legislative-institutional challenges inherent in conducting a broader basic income experiment, preparatory legislative work and the construction of ICT systems should begin immediately at the beginning of 2017. Because the laws governing the basic income experiment have budgetary implications, the law establishing an expanded experimental design must be completed by the summer of 2017 for the expanded design to be implemented at the start of 2018. We will refrain from proposing a detailed study design for the follow-up stage, because the available budget will ultimately define how ambitious an experiment can be conducted. Detailed plans about expanding the experiment cannot be made until the budget for such an expanded trial is known. Furthermore, planning for the experiment which is to be launched in 2017 showed that the final study design will inevitably be the result of various politico-institutional compromises. The end result is affected by such factors as the amount of time available for the planning, whether it is possible to develop new payment and taxation systems, and the quality of the cooperation between different government agencies. Therefore, the recommendations made in the final report will gain specificity as the legislative process moves forward and various project participants join the process. When the goal is to plan an experiment that will impact the income security and tax system as a whole it is only natural for the experimental model to continue to evolve up until the time the relevant bill is approved in Parliament. Conducting the planning in an expedient manner will, however, require that the good practices identified during 2016 are followed. Besides adequate time and economic resources, the coordination between and commitment of government sectors are crucial to successful implementation. Clearly, not even an expanded research design can provide an exhaustive analysis of such a comprehensive reform of the social benefits and taxation system as the basic income. In order to produce more reliable and generally applicable information, a series of experiments are needed to study the preconditions for the reform from a variety of perspectives and at the level of various population groups. Therefore, the possible follow-up experiment should be succeeded by further trials, utilising for example the national incomes registry, which is set to be introduced around 2020. Such a series of experiments would produce valuable information not only about the basic income but also about the way other benefits providing basic economic benefits work and the possible ways in which they could be reformed. The Finnish basic income experiment is an ambitious and exceptional public policy project even in an international context. This is reflected in the amount of attention which the project has garnered internationally. The field studies offer an excellent tool to analyse the impact of societal reforms in a detailed fashion. Therefore, it is important that steps be taken to ensure that follow-up studies can be conducted. We cannot know whether the Finnish example will inspire field studies to analyse the impact of policy measures, but there are examples suggesting that this may be the case. Still, what we can ensure by means of the political decisions we make in Finland is that the first basic income experiment will not be the last. The recommendations we make for a broader basic income experiment do not represent an ideal study design. Rather, our prime goal is a design which is both implementable and useful from a research perspective, and which recognises the need for information about employment and social participation identified by the Government. In the case of many of the recommendations, the scientific background assumptions are based on observations made already in the preliminary report, but they are specified further as needed in the final report. When it comes to the background assumptions, exact power analysis calculations and related analyses cannot be made until the model which the experiment will test is planned. The study population is expanded to include not only unemployed persons but also other low-income individuals who can reliably be selected from registers. An adequate sample size is determined by means of power analysis calculations, and a sufficient budget is reserved for the experiment. The inclusion of young persons between ages 18 and 26 should be considered, because it is important to examine the impact of the basic income also among this group. The individuals included in the follow-up experiment are selected primarily by means of a nationwide random sample. The sampling is performed at the level of households, but the basic income is paid to individuals. However, should it be possible to increase the budget for the experiment significantly, the possibility of conducting a regional experiment should be reconsidered, for that would make it possible to look at spillover effects. 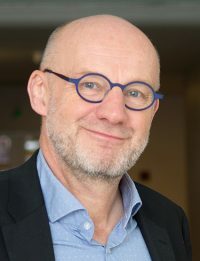 A number of points relevant to the research must be taken into account when coordinating the basic income with other social benefits and employment policies. A tax model compatible with the basic income is introduced for the individuals participating in the experiment. Steps are taken to ensure that different sectors of government are committed from the start to expanding the experiment. Sufficient time is set aside for refining the study design, building new payment and taxation systems, drawing up the enabling law, and implementing the experiment. Planning and legislative work preparatory to the expanded follow-up experiment is launched without delay. Measures are put in place to ensure smooth cooperation between different sectors of government. A project organisation is set up to coordinate and implement the basic income experiment, and sufficient resources are made available to it. In order to produce more widely relevant information, a series of trials are undertaken to test a basic income among different population groups and under various study designs. The follow-up trials will look at different types of basic income and tax arrangements. The national incomes registry to be introduced in 2019/2020 will be utilised in new types of experiments testing, for example, a negative income tax. Research cooperation at the common European and International levels is intensified to ensure increased funding and more impactful research. This is a short summary of the final report: Olli Kangas, Pertti Honkanen, Kari Hämäläinen, Markus Kanerva, Ohto Kanninen, Jani-Petri Laamanen, Ville-Veikko Pulkka, Tapio Räsänen, Miska Simanainen, Anna-Kaisa Tuovinen & Jouko Verho ”Ideasta kokeiluihin – Loppuraportti perustulokokeilun toteuttamisvaihtoehdoista”. What is the basic income experiment all about? Watch the video! Olli Kangas basic income, basic income experiment. permalink. Vaikka kansalaispalkka on ehdottomasti paras idea tämän vuosituhannen puolella, summa ei ole tarpeeksi merkittävä. Tällaisenaan se ei tule olemaan hyödyllinen kuin niille jotka ovat valmiiksi pahassa jamassa, ja silloinkin lähinnä sama asia kuin ennen. Onhan se maukas välipala keskivertopalkan kylkeen ja matalapalkkaisille, mutta muuten täysin hyödytön summa. Jotta päästäisiin näkemään kansan koko potentiaali, tulisi koko ajatus miettiä uudestaan. Mikäli tahdotaan saada valtion talous nousuun ja tasa-arvoisempia mahdollisuuksia nuorille, ehdottaisin ”kickstart” tyylistä puskuria. Tietenkin tämä vaatisi etenkin rikkinäisen ja alati heikkenevän koulutusohjelman uudistamista. Koulutusohjelmaan tulisi lisätä poliittista mielenkiintoa herättävää sisältöä. Jokaisen nuoren tulisi ymmärtää hyvissä ajoin, miten politiikka toimii ja mitä se ylipäätään tarkoittaa. Tämä myös edistäisi lahjomatonta politiikkaa. Tämän lisäksi suurin osa pänttäyksestä tulee kitkeä. Ulkoa opetteleminen on vain pään täyttämistä asioille, joita me voidaan ratkaista muilla keinoin ja täyttää päämme merkittävillä asioilla kuten; jatkuva oppiminen, looginen päättelykyky, objektiiviseen ja itsenäiseen ajatteluun perustuva maailmankatsomus, kommunikaatiotaidot, luovuus, innovaatiot jne. Sitten palataan siihen kansalaispalkkaan. Opintolainan tilalle tulisi nostaa opintotuki kattamaan ihmisarvoisen elämisen opintojen ajaksi. Opintojen päätyttyä tulisi jokaiselle nuorelle tarjota, esimerkiksi osin lainana, mutta ennen kaikkea tasavertaisena könttänä niin merkittävä summa, että visioiden toteutus ei jää siitä kiinni. Tasavertainen ei tietenkään tarkoita sitä, etteikö se voisi olla myös osin progressiivinen. Tiedän että tämä vaikuttaa hullulta idealta, ja sitä se tällä asteella onkin, mutta jos me jotain olemme nykytekniikan ja tietotason avulla oppineet ymmärtämään, niin luonnostaan passiivista ja työtä vieroksuvaa ihmistä ei ole olemassakaan. Suurin osa visioista jää luomatta epäreilujen lähtökohtien, lasten kengissä olevien opintosuunnitelmien, kansan heikon mielenterveyden ja rikkinäisen talouspolitiikan vuoksi. On jo ihan kiistaton totuus, että ihminen on luonnostaan aktiivinen eläin. Se mihin aktiivisuus kohdistuu tai supistuu, on kiinni ympäristöstä ja sen dynamiikasta. On aika vaikuttaa siihen positiivisesti.